WooT WooT! 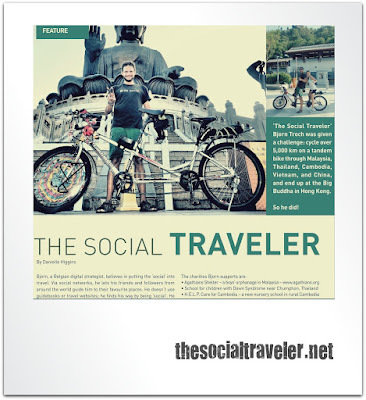 Got the honour to appear in the lovely Hong Kong magazine 'Life on Lantau'. The last stretch of my tandem challenge I had to cycle up to the Big Buddha on Lantau island. Via via, as always, I got in touch with Danielle Higgins from 'Life on Lantau'. She decided to join me for these last and final kilometers. My last tandem buddy did not only do that. 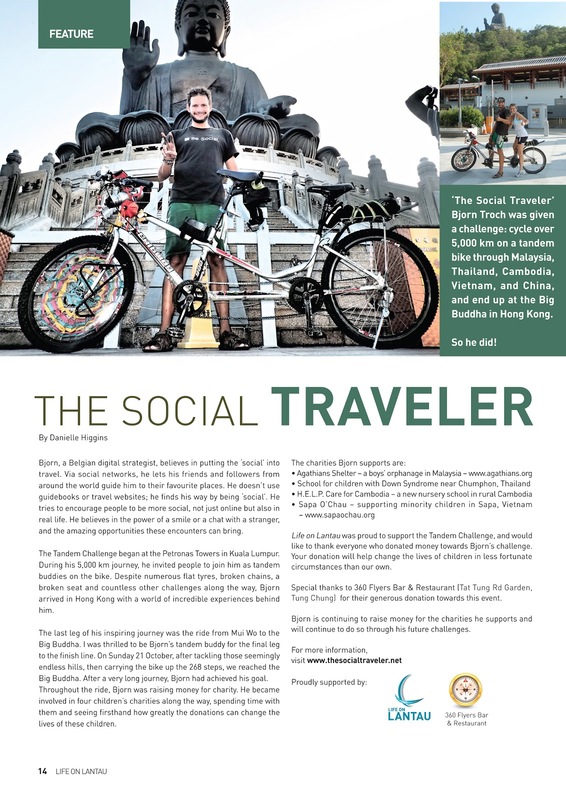 She also managed to help me raise money for the Sapa O'Chau project that I support AND she published an article about my tandem journey through South East Asia. Truly very greatful for all her help!! !